Lookfantastic have an amazing subscription box but they also offer various limited edition boxes every so often and the latest is the ‘rose collection’ for valentines or galentines day. 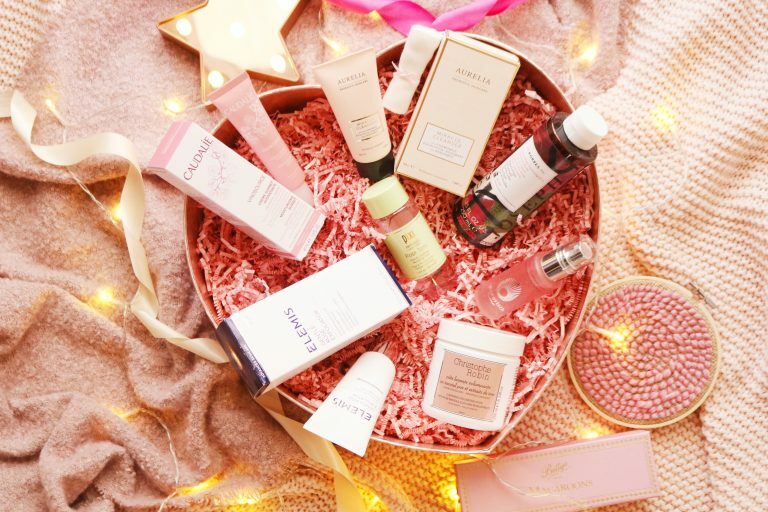 The limited edition box contains so many items from a range of high end brands with a total value of over £150 but the price of the box is only £60. The first item is from a brand that I already know and love, Korres. Their shower gels are some of my favourite shower gels ever so I’m very happy to have another, especially as the scent is so gorgeous. The ‘rose collection’ box contains products with a rose scent or rose as an ingredient which is perfect for valentines or galentines day! Next up is a brand that I have heard of but I don’t think I’ve tried anything from them. The cleansing volumising paste is a hair treatment that transforms from a paste to a foam in the hair to remove impurities. I haven’t tried this product yet but I can’t wait to as it sounds very interesting. Pixi is a brand I’ve wanted to try more from for years as their skincare always receives amazing reviews! The tonics from Pixi are some of their most recognisable products so I’m glad to finally try one, especially as the rose tonic is suitable for sensitive skin types, as mine is. There’s a great range of brands within the box, most of which are favourites of mine and higher end brands, this product fits into the latter category. This rather expensive brand produces some of the most beautifully designed products, such as this mist. 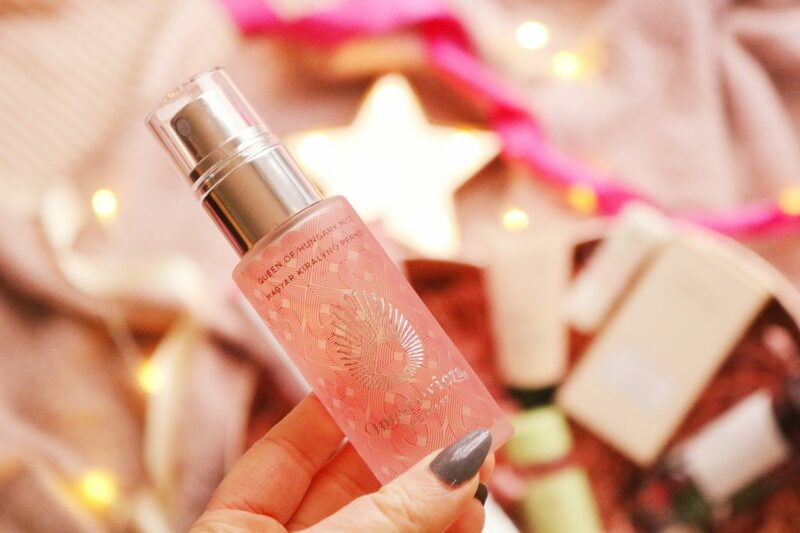 I love facial mists to refresh my makeup or as a boost of moisture throughout the day and I cannot recommend this one enough. 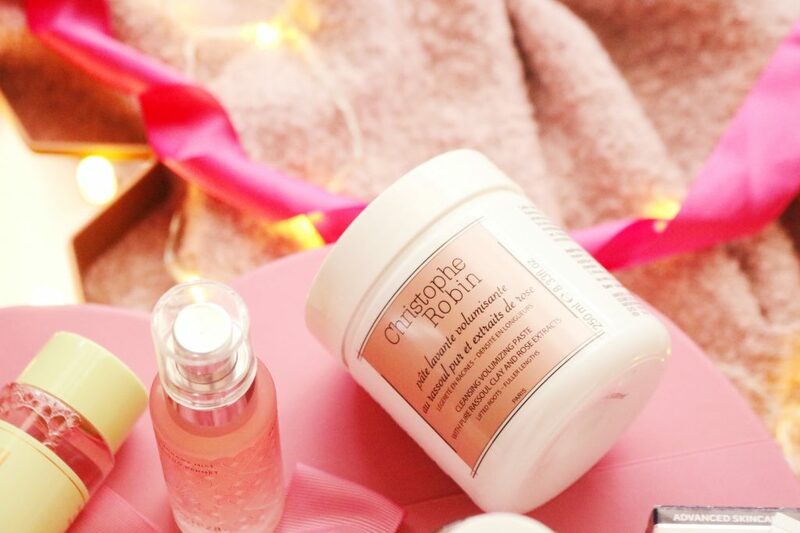 As the winter season is one of the harshest on the skin, I always tend to reach for scrubs to help refresh my skin and keep it smooth. I currently use a rose scented scrub so I’m interested to try another and one from such a well know and well loved brand such as Elemis. 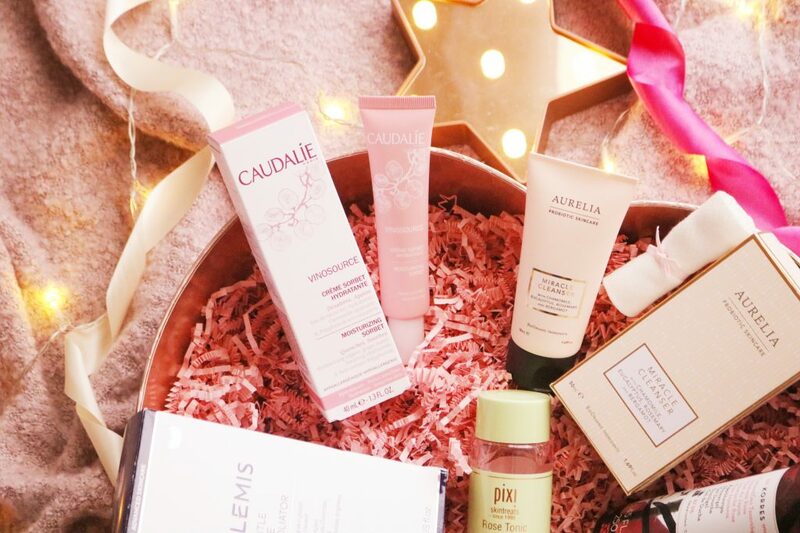 When it comes to skincare, the French know what they are doing so it’s not a surprise that almost all of my favourite skincare brands (for my dry and very sensitive skin) are French, including Caudalie. I love this Caudalie moisturiser, I’ve been using it non-stop since I received it a week or so ago. Another product I’ve been using and loving since I received this beautiful heart shaped box is the Aurelia Miracle Cleanser. 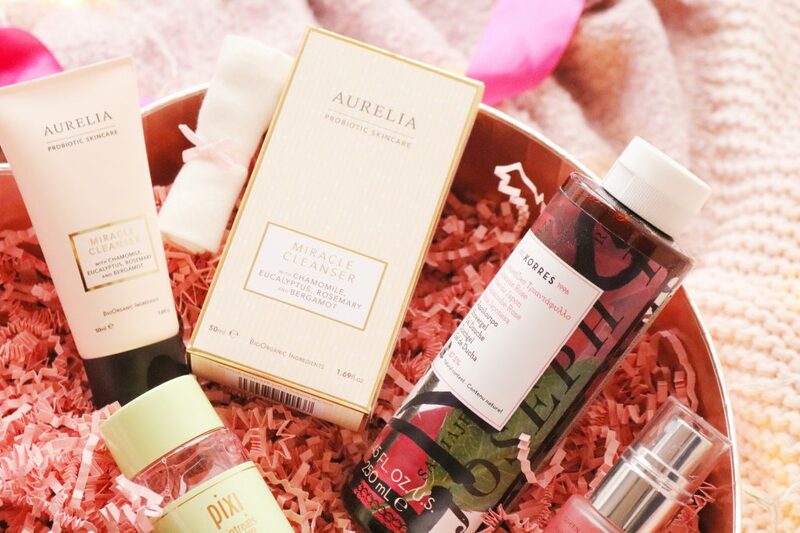 I’ve tried a few samples from Aurelia before and adored them so I’m glad to have a full sized product. It is gorgeously packaged, the texture is so lovely on the skin and it gently cleanses my sensitive skin perfectly. Overall, this box of rose scented goodies would make the most perfect valentines day, galentines day or mothers day gift as it comes in the cutest heart shaped box. The value for money is amazing and there are so many truly fantastic products within.